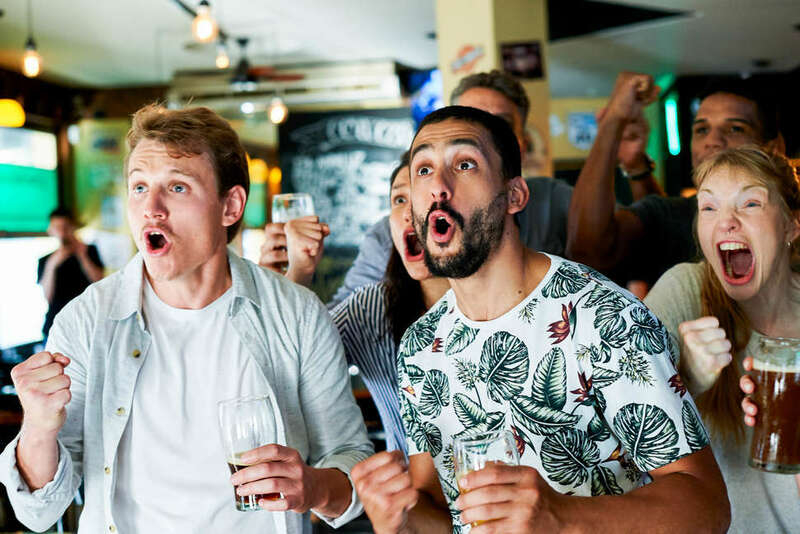 T he rising tide of soccer in America has made the sport more and more NFL-like as a reason to gather with friends, drink some beer, and cheer on your favorite club. The only challenge is that many of the European matches are aired live... which is incredibly early here in the states, when many pubs and bars aren’t even open. 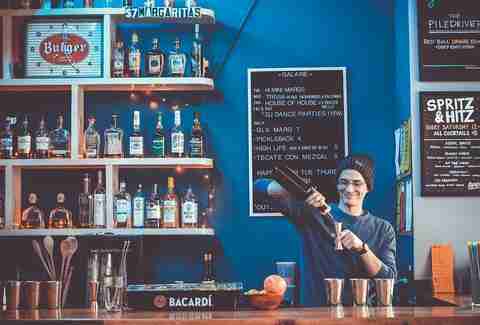 But even though the World Cup is taking place in Russia this year, plenty of bars around town will opening their doors to get in on the action, especially during the later rounds when the competition really heats up. The games run from June 14 to July 15, so you’ll have plenty of opportunities to catch a match; if you're having trouble finding a place to peer at the pitch, don't worry. We've got you covered with the best options Louisville has to offer. The two-level outdoor area is a prime viewing space, and drink specials include $2 Miller Lite drafts, $4 tallboy cans of Modelo, and $3 Fireball shots. Also, the Scotch eggs and big pretzels will help soak up all that beer (there’s also a Molly’s location in St. Matthews). Molly Malone’s in the Highlands is such a soccer destination bar that it sponsors its own fantasy soccer league. You can walk into Molly’s on a Sunday morning and find folks sporting jerseys representing clubs from Liverpool to Everton. It also gets jam-packed for World Cup with rabid soccer fans, making it the best place in town to enjoy the matches and root for England or Mexico or whatever national club you support. Want to watch the finals with the family, but not interested in a crowded, noisy bar or restaurant? Metro Louisville has you covered for semi-final and finals play. The city will bring a 17-foot-by-10 HD screen downtown to Jefferson Street as part of a street festival that will feature food trucks, vendors, family entertainment and more. Saints is one of those corner bars that just makes you feel at home. And when the games start, the TVs go on, the smokers pump out delicious wings, and the pizzas go into the oven. The patio bar has TVs as well, so there will be plenty of seating to go around. Saints will partner with American Outlaws, a US soccer support group, for its World Cup 2018 watch parties. There will be prize giveaways, and plenty of drink and food specials as well. The upstairs space, SkyBar, is the premier viewing spot. Home to a Green Bay Packers contingent during the fall months, there will be no Cheeseheads for World Cup, just soccer fans. Originally from Buffalo, Rootie’s is the descendant of one of the New York city’s first Buffalo wing joints. Owner Marty Stein moved to Louisville years ago, reviving his restaurant as a sports bar. And while you’ll want to feast on some chicken appendages while you watch World Cup, what you won’t believe is that there are flat screen TVs everywhere, not to mention beer specials on game -- er, match -- day. Dundee Tavern is where many University of Louisville sports fans gather, and NFL Sundays can get crowded as well, but it’s going to be wild for World Cup. Sixteen jumbo screens seemingly take up half the space in the Highlands bar that has been a neighborhood mainstay for decades. And for god's sake, get an order of the “world famous” Dundee Dip. It sticks to your ribs. Normally a music venue and cocktail bar, Galaxie is going all-out for World Cup 2018 with a pop-up World Cup Brew Fest in its outdoor space, all throughout the Cup. Three projectors will show the matches, with a gallery set up like a British football pub. Four area breweries will provide beers, and a local brandy distillery will bring the cocktails. Get $1 off beers from the participating breweries, and Galaxie’s tasty tacos will be available most days, with food trucks covering Sundays and Mondays. Just a stone’s throw from Churchill Downs is a good spot to open a sports bar, and JB’s Pub knew that. With burger of the month and pizza of the month specials, a huge draft beer list, and plenty of space and quirky décor, it’s a cool spot to check out the World Cup. Also, 26 flat screen TVs won’t hurt, either. Take advantage of $2 domestic pints, $8 domestic pitchers, or $10 domestic buckets to help wash down that burger. Joe’s Older Than Dirt is one of those neighborhood bars that seems eternal. It makes its hay on regular customers, pub trivia, and other entertainment. 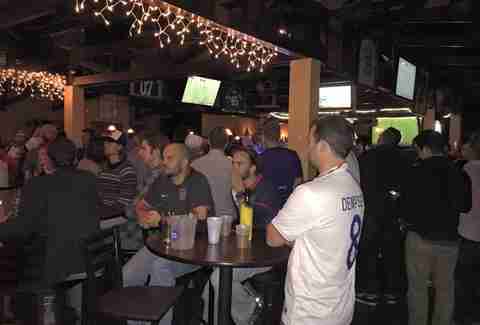 But when the Cup starts, the dozens of TVs that line the bar will be tuned to world soccer. If you don’t know where you’re going, just look for the moose out front. Kevin Gibson is a Louisville-based author who writes about everything from food to beer to the great city he calls home. He has won numerous awards but doesn’t know where most of them are now. He is the author of Unique Eats of Louisville, Secret Louisville, Louisville Beer, and other books & currently lives in the Clifton neighborhood with his dog, Atticus.